Best hostel in Cornwall. Great staff and fabulous location. When would you like to stay at YHA Land's End? Our westernmost hostel, YHA Land's End is perfect for a value family break in deepest Cornwall. Tucked away, but with fine views to the sea, the hostel is a short walk from beaches and the Cornish countryside, so is equally good for surfing breaks, birdwatching and walking holidays. In the main hostel building there are 29/34 beds across nine bedrooms – 1 x single bed room (this room has a pull out bed that can accommodate an extra person), 1 x double bed room, 1 x two/three bed room (double bed with single bunk above),1 x three/four bed room (double bed with single bunk above and a single bed), 2 x four bed bunk rooms, 1 x four bed bunk room en-suite, 1 x four/five bed room (double bed, single bed and a bunk bed) and 1 x six bed bunk room. YHA Land's End is open every day from Tuesday 2nd April 2019 for individuals, families and groups. Advance booking is recommended. For winter opening including Exclusive Hire please check the Need to Know section below. 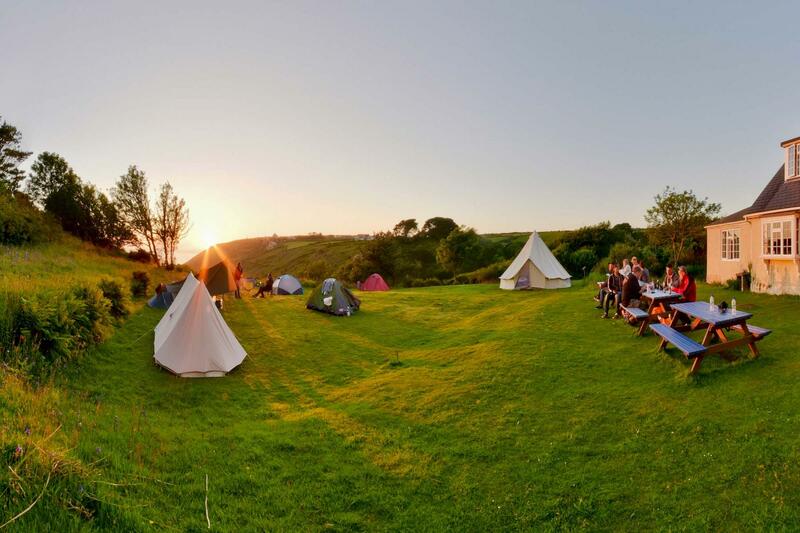 Get all the fun of camping but without any of the set up stresses with these beautiful bell tents - part of the YHA Glamping experience. These spacious tepee-like tents are fully kitted out with a double futon bed and single futons plus all bedding and can sleep four/five people. They also have eco-friendly solar lighting and comfy bean bags for you to chill out on during the day plus bedside tables, a coffee table, rugs and soft flooring. 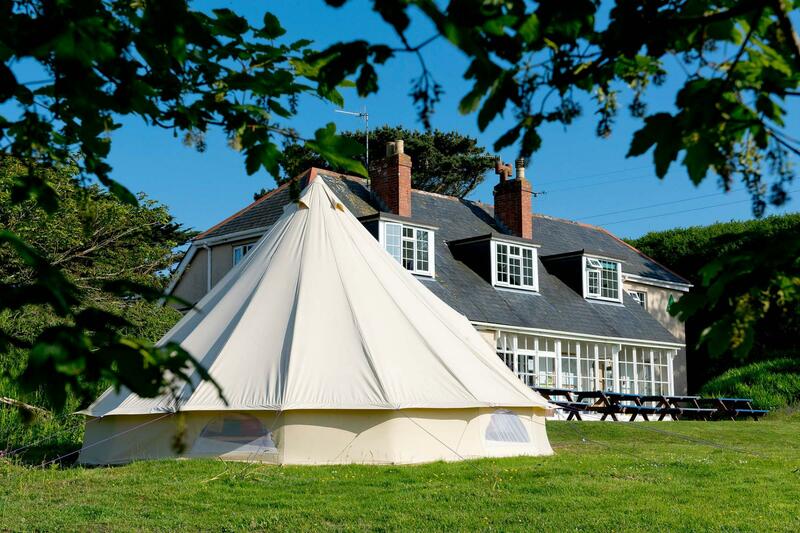 There are two of these gorgeous tents at YHA Land's End. Our bell tents are available to book for stays in July, August and September. Camp out on the front lawn of YHA Land's End surrounded by breath-taking views of the Atlantic Ocean and the beautiful sunset. This small camping area is well sheltered with easy access to facilities and the main Youth Hostel building with its lounge and dining room. The site can accommodate up to 12 people and is suitable for organised groups, individual travellers and families. With a small but perfectly formed camping area out front, a well-stocked bar, space for BBQs and sweeping views of the ocean, you’d be forgiven for simply pitching up and staying put! There is a licensed bar on site serving cold beers, local ales and wine. Campers can wake up to a delicious full cooked breakfast or indulge in the Supper Club evening meal. Campers can use all of the Youth Hostel's facilities and also have an extra toilet, sink and shower closer to the camping ground. Campers also have access to the main Youth Hostel self-catering kitchen as well as a campers' kitchen with an extra fridge, microwave, kettle and sink which is closer to the camping ground. Campers are welcome to use small BBQs and will be provided with blocks to stand them on. The main car park is at the rear of the Youth Hostel, about a 50m walk from the camping area. 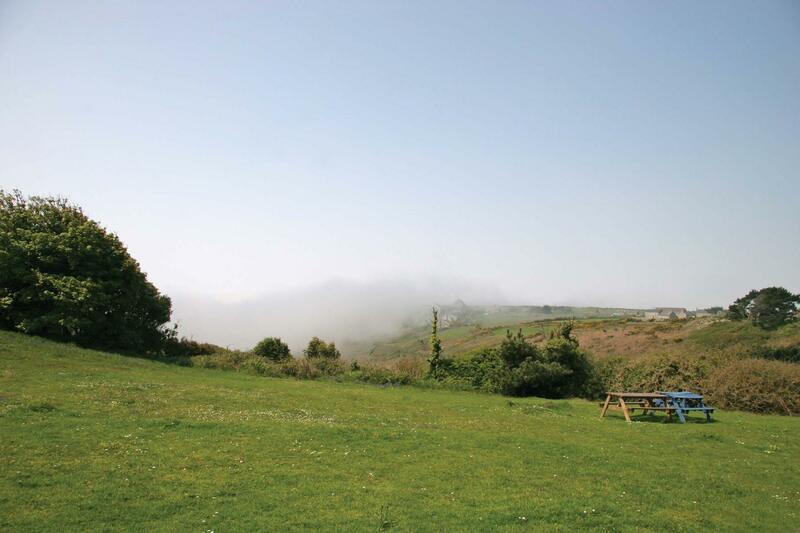 The YHA Land's End campsite is for tents only, camper vans are not permitted on the site. Campfires are strictly prohibited. Open every day? : Open every day? : YHA Land's End is open every day until from April 2nd 2019 for individuals, families and groups, including sole use when available. 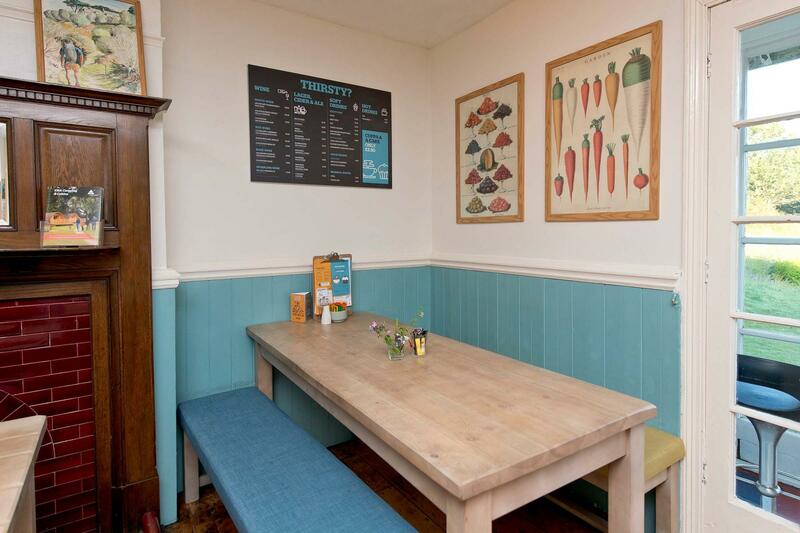 We offer supper club evening meals, packed lunches, breakfast and a licensed bar. The hostel is also available for Exclusive Hire bookings between 4th October 2019 and 25th March 2020 including Christmas and New Year, and group bookings all year round - weekends and midweek. Make a group booking by calling 0800191700. Parking: There is an on site car park but no access for full size coaches (parking for coaches can be arranged at nearby farm). Pets: Dogs can stay on our campsite and in our bell tents. There is a £5 charge per dog per night for our bell tent accommodation which is payable upon arrival. You can bring your dog for free if you are camping in your own tent. Pets are not permitted in the hostel accommodation at YHA Land's End however, assistance dogs are welcome throughout, please advise upon booking. To enjoy YHA Land's End for just you, your friends and family visit our YHA Exclusive Hire website and hire out the whole property. We're open for bookings between October and the Easter holidays. 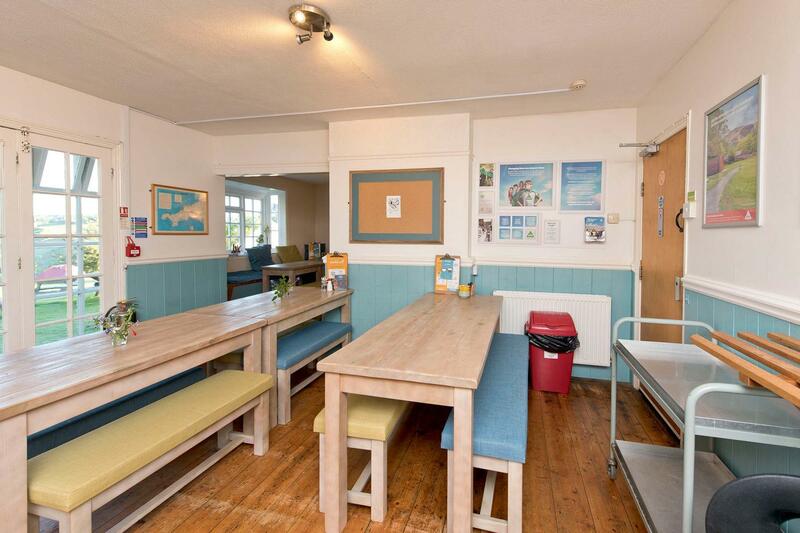 YHA Land's End is ideal for groups of 15 to 25 and sleeps up to 34 people in nine rooms. Enjoy the local beaches and countryside during the day and the real open fire in the evenings. YHA Land’s End has been a hostel since 1939, having been built as a private home in the early 20th century and it still has the original fireplaces in the common room and dining room. The hostel and grounds are set within the Cornish Mining Heritage Site on the side of the Cot Valley with views down to the sea and walks to the coast, St Just, and the wild moorlands of Penwith. Now a peaceful valley famous for spotting rare migratory birds, the valley was once heavily industrialised during the late 19th century tin mining boom and the relics are all within walking distance of the hostel. More ancient remains include the Ballowall Barrow – a chambered cairn dating from the late Neolithic to the Middle Bronze Age – set high above the valley. Chris has been the YHA Land's End manager since 2009, sticking close to the coast having previously managed YHA Perranporth and Port Eynon. "You might bump in to me during the afternoon walking the coast path with my toddler, cycling to a hidden beach, or enjoying a coffee at the Dog and Rabbit in St Just." Manager recommends: When the swell drops head for a secret wild swimming spot! We know of a few along the coast that are well worth exploring, a couple are just a short stroll from the hostel, so pack your swimmers, a picnic lunch and leave the crowds behind. If it's an activity break you're after, hit the beach for some surfing holiday fun. If you're a 'twitcher' there are some great spots for bird watching. Sennen Farmers’ Market on a Tuesday has been voted the best farmers’ market in Cornwall for the last couple of years. Visit to pick up local food and craft wares.